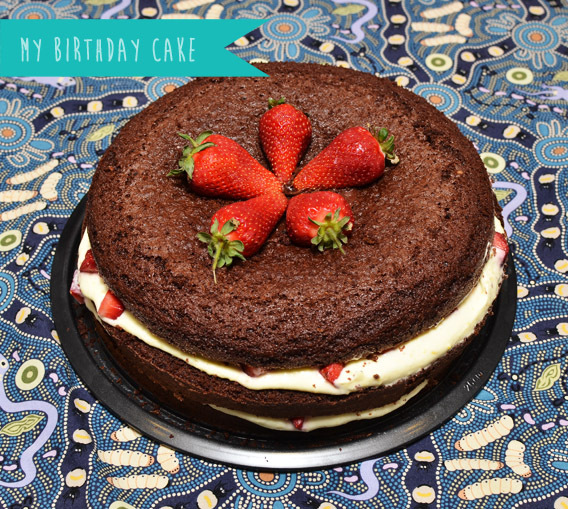 My Daytime Dreams: Strawberry and chocolate birthday cake! Hi there! 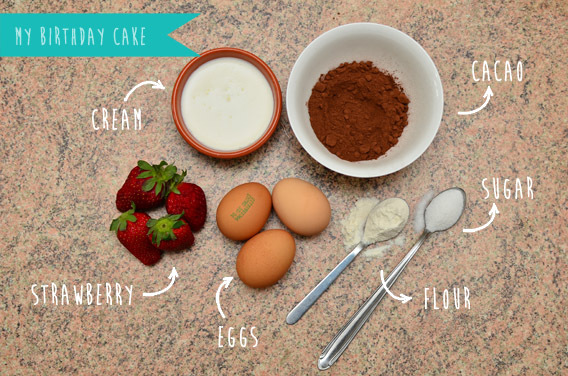 As I've promised I'm sharing with you the step by step recipe of my birthday cake. I've made this delicious dessert with my big sister Alessia, she is a very good pastry chef. Preheat oven to 200 °C (350 °F). 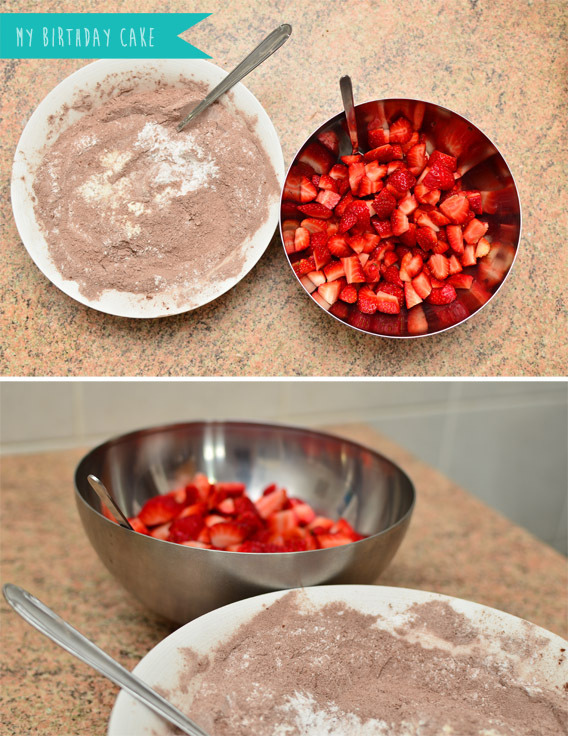 In a large bowl, whisk together all-purpose flour, sugar, unsweetened cocoa powder, baking soda, and coarse salt. 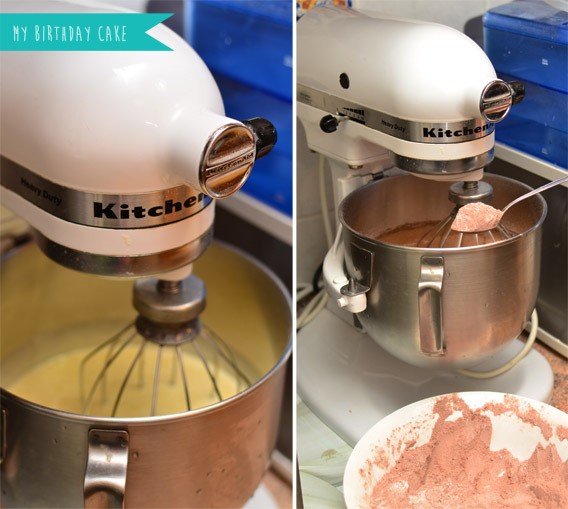 Mix into a bowl (we've used a Kitchen aid) eggs, vegetable oil, pure vanilla extract and cold water and then add the flour mixture.Whisk until well combined. 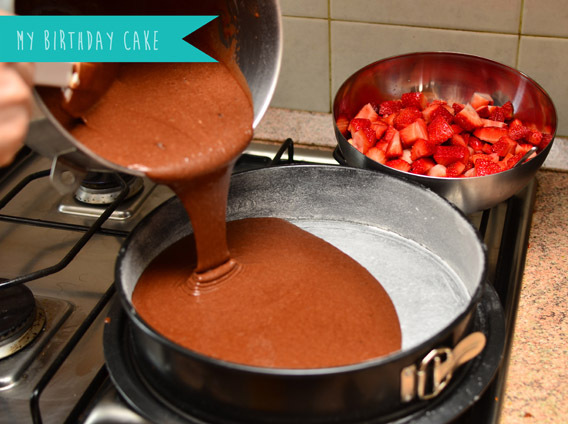 Grease a standard cake pan, pour the mixture into it and then bake for 40 minutes. While the cake is baking you can work on the cream. Unfortunately I haven't photos of the preparation because my sister made the cream while I was playing with my little nephew! For the custard mix the eggs, the sugar and the flour in a little bowl, then boil milk into a milk pan and when the milk is boiling add the content of the bowl and bring the mixture at the boiling point again. Whip-up the cream and then combine the cream and the custard together adding the strawberries. Mmmm the chantilly cream is so yummi!! With strawberries it's the best cream ever!! When the cake cools down, cut it into two parts and then spread the chantilly cream with strawberries in the middle. At last garnish the cake top with fresh strawberries. This is the recipe of my birthday cake! So delicious!! Thanks to my big sister for making this amazing cake with me! Let's celebrate!